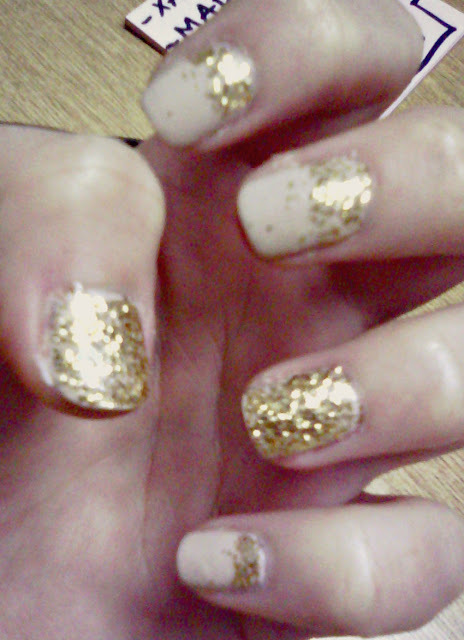 Used - soft creamy and gold glitter nail polishes. 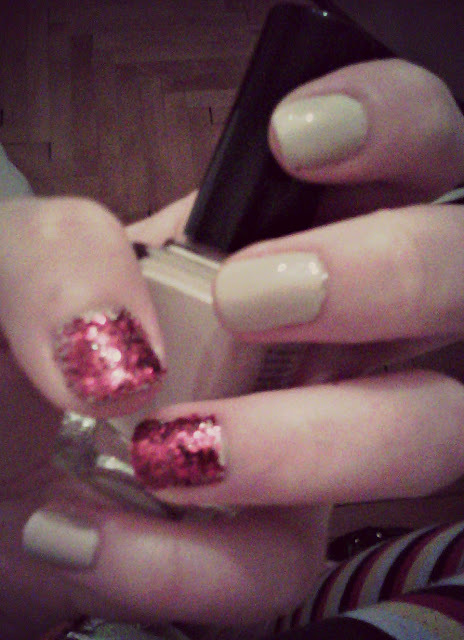 great nails <3 would you like to follow eacj other? I love your sparkeling nails... great!